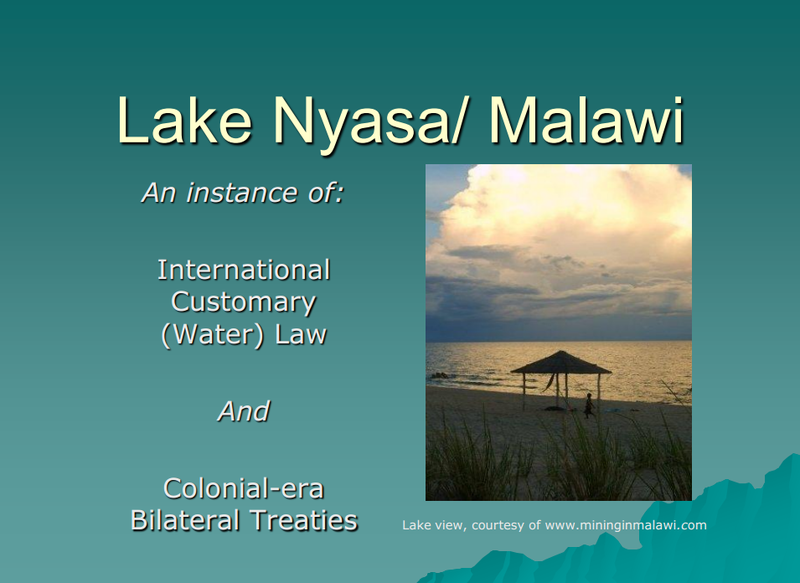 International law and treaties from the colonial era have bearing on the current dispute between Tanzania and Malawi over boundaries of Lake Malawi (or Lake Nyasa as the body of water is known in Tanzania). Natural resources specialist, Daniel Gilbert, sheds light on this in a presentation (Lake Nyasa/Malawi: an instance of international customary (water) law and colonial-era bilateral treaties) available on the Extractive Industries Sourcebook (EI Sourcebook). Until recently, Gilbert worked with the University of Dundee’s Centre for Energy, Petroleum and Mineral Law and Policy on the EI Sourcebook and is now completing an MSc in Managing in the Energy Industries with the Centre. Follow Gilbert on Twitter @edwindundee.